Ask Brianna: Pay Off Student Loans or Save for Retirement? Ask Brianna: Should I Pay Off My Student Loans or Save for Retirement? 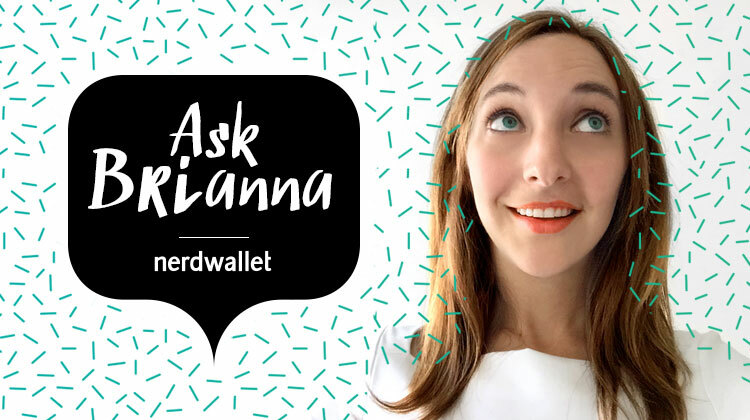 Welcome to “Ask Brianna,” a weekly Q&A column that helps 20-somethings prepare for the job search, handle money and manage student loans. Every Wednesday, a new “Ask Brianna” will address these topics with tips I’ve picked up while writing about this stuff. I’ve heard I’m supposed to start saving for retirement as early as possible. But that’s hard to do when I’m trying to get rid of my student loans. Should I pay off my student loans faster so I have more money to work with later on, or should I start saving for retirement now? You might feel like you can’t do any long-term financial planning until you’ve gotten yourself out of student loan debt. That’s not a bad instinct; it’s great to want to pay off your student loans as fast as you can. But your 20s are a key time for saving for retirement, since starting now gives your money more time to grow. For example, if you invested $10,000 at a 7% annual return (which is in line with long-term stock market averages) and made no further contributions, after 40 years you’d have almost $150,000. Investing even a small amount each month will help you get maximum value from any extra funds you have after making your minimum student loan payment and covering your basic expenses. And it’s really important to make that minimum payment on your loans; avoiding default and its damaging financial consequences should be your top priority while you’re in repayment. If you have credit card or other types of consumer debt with a higher interest rate than your student loans, pay that debt off before you dedicate any extra money to your student loans or investments. I pay $300 a month on my student loans, but I still put every spare penny I can toward the credit card debt I racked up while I was in grad school. That’s because my student loans have relatively manageable interest rates of 5% to 6%, while my two credit cards carry rates of 10% and 14.99%. Those interest charges add up fast. Plus, once my cards are paid off, I’ll keep the momentum going and contribute more to my student loans and investments. Besides paying off your credit cards, it’s also important to stash some money away for an emergency, like a job loss or unexpected medical bills. Try to save at least $1,000, but ideally you should have enough to cover about three months’ worth of living expenses. » MORE: Should I Consolidate or Refinance My Student Loans? If your employer offers a 401(k) plan, participate in it if you can spare even a small amount of your income, since it’s an easy way to save for retirement. In most cases, your contributions will come directly from your paycheck, and after a couple of pay periods you’ll forget that money is even missing. Contribute just 1% or 2% of your paycheck, if that’s all you can swing, and increase it a little every year or whenever you get a raise. Use a retirement calculator to see how much you’ll need to save, and how much starting now will help in the long run. A 401(k) is especially useful if you have a company match, which means your employer contributes to your 401(k) from the company’s own funds (usually up to a set limit). So if you contribute 2% of your paycheck to your 401(k), your company may add the same amount to your account. It’s worthwhile to contribute as soon as you can if your company matches your funds, even while you’re paying off high-interest credit card debt. It’s essentially free money you’ll be glad you took advantage of. Check to see what your company’s vesting period is. That’s the amount of time you’ll have to stay at your job — for example, two years — before those matching funds become yours. You’ll get the most from your contributions if you work at the company at least that long. Let the interest rates on your loans help you figure out whether to invest beyond your 401(k) plan’s company match. Interest rates can vary widely depending on whether your loans are private or federal, what year they were disbursed and whether the rates are fixed or variable (meaning they can go up or down over time). Since 2006, annual interest rates on federal student loans have ranged from 3.4% to 6.8% of the initial loan balance, and the Consumer Financial Protection Bureau has reported that private student loans can carry rates between 2.98% and 19%, depending on the borrower’s credit history. The return on paying off debt, on the other hand, is equal to the interest rate on that debt. Paying off a loan with a 12% interest rate is the equivalent of a 12% return on the money you used to pay off that loan, because you’ll no longer owe that interest to the lender. That’s higher than the 7% expected return from investing in stocks for retirement. If your interest rates are lower than 7%, you could potentially earn more money over time by investing extra funds in the stock market through your 401(k) or a Roth IRA. Consider continuing to pay the minimum on your loans while beefing up your 401(k) contributions or opening a Roth IRA, which is an individual retirement savings account you can set up on your own through a low-fee online brokerage. Here’s one way to look at it: Say you have an extra $1,000 that you can either apply toward a student loan with a 12% interest rate or invest at a 7% return. If you used that money to reduce your loan balance, you’d save $120 in a year. If you invested it, you’d make $70 over the same time period. So paying down the loan makes more financial sense. By contrast, if your loan rate was 6%, you’d save only $60 — so investing it would earn you more money than you’d save. It’s a lot to keep track of, but the more you learn about saving, investing and how to take control of your finances, the more it starts to make sense — I promise. Next week, a career question for anyone who’s wondered how to make that summer job scooping ice cream seem relevant: How Should I Talk About Side Jobs and Volunteer Experience in an Interview?